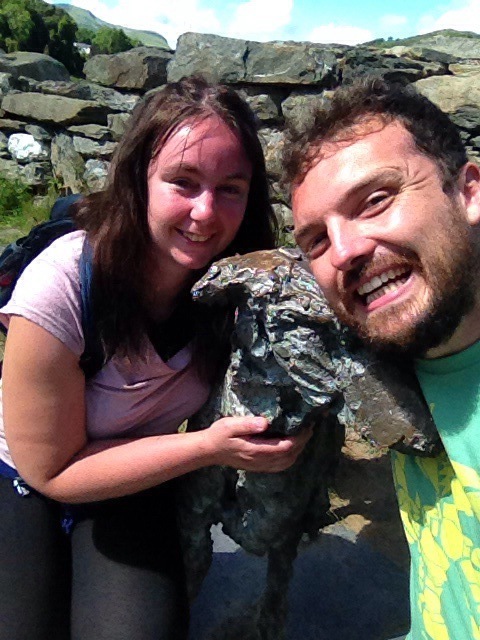 Following on from my blog written 1085 Metres above sea level on the summit of Mount Snowdon, I have been gathering my thoughts. On what was a truly amazing adventure we had the pleasure of enjoying one of the most picturesque of places visited to date. The drive to our campsite was beautiful. As soon as we passed the Welsh border, we were greeted with winding roads offering some beautiful views. Mountains, open rivers, streams and fields full of nature on show setting a lovely background story to what lay waiting for us. 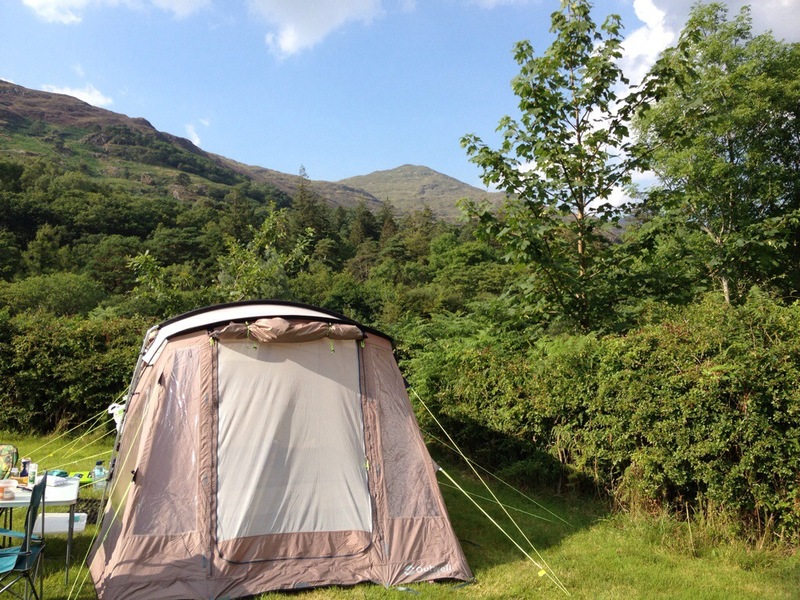 Cae Du is a beautiful campsite, very neatly presented within a border of the Snowdonia Mountains. This campsite offered spacious pitches and a well stocked shop. The prices were good value considering the remoteness of this site. The facilities on this well maintained site included basic toilets open 24 hours with more modern and newer washing facilities open between 7am-10pm. The views all around the site were breathtaking and there were some lovely parts we walked around on the site including a secluded mountain stream. 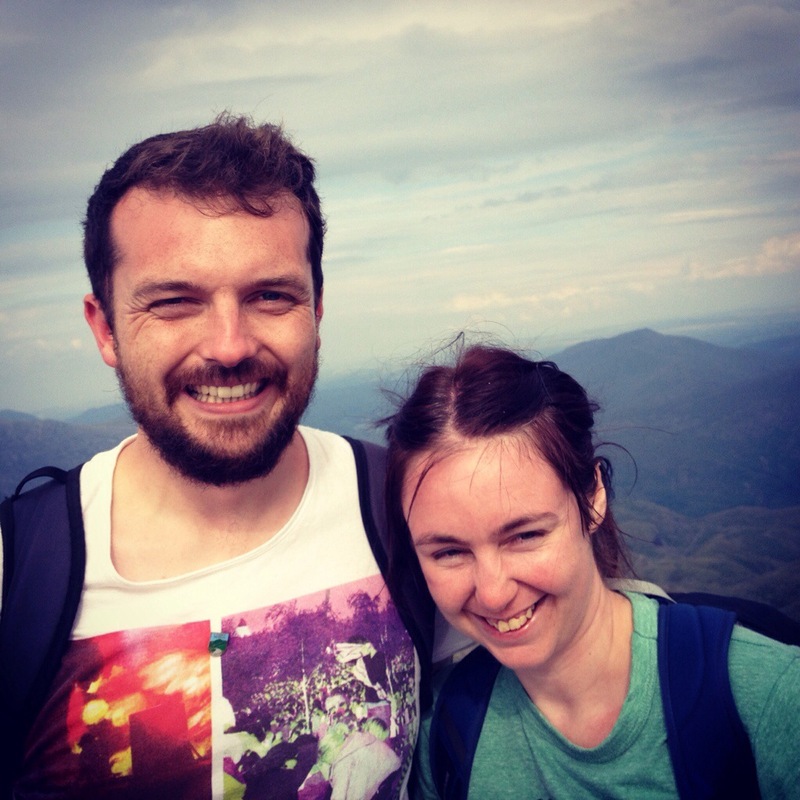 Saturday was our judgement day as we climbed Mount Snowdon. Following on from my previous blog, I can confirm the decent was far more demanding than I thought it would be. My fiancé had to strap a heat pack to my calf and help me carry our numerous stretches to aid my tight calfs and sore ankles. Despite the aches I am still feeling, I wouldn’t have swapped this experience for anything. 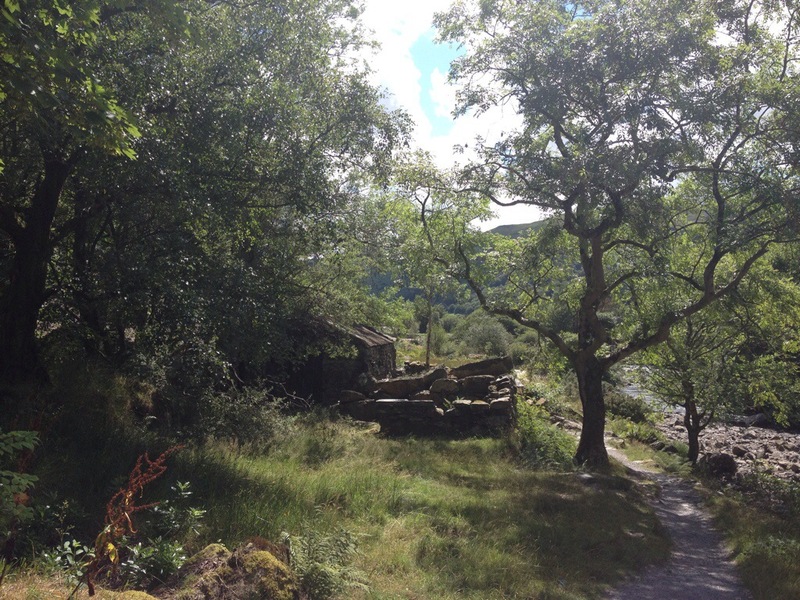 On Sunday we headed to the local village called Beddgelert. This village was so beautiful and the walk from our campsite took around ten minutes. This is a very lovely place and the walk into the village took us along a rocky river which was overlooked by some very attractive houses. One snap shot of this walk seemed to take us back to Greece, this picture is below. We had a walk around the shops and bought a couple of pieces from a craft shop. There was a lovely ice cream parlor where we sampled some delightful flavours. I had a strawberry, melon and Cointreau Ice cream which was amazing. We spent some time chilling at one of the local pubs and watched the world pass by as we rested our achy legs and bodies. There is a sad local story to this village which played a huge part in the naming of Beddgelert. My story is very rough and if I’ve missed anything I do apologise. A prince dating back to the 1300s lived in this village and he had a loyal dog as his pet. One day he came home to find his empty sons cot covered in blood, the prince feared the worst and slayed his faithful companion Gelert. The prince frantic over the death of his air to the throne was in despair. It wasn’t until he searched the house that he found his son unscathed and the blood was from a wolf that had tried to attack him. The wolf was killed by his loyal dog Gelert. It is said that after this event the prince never smiled again. 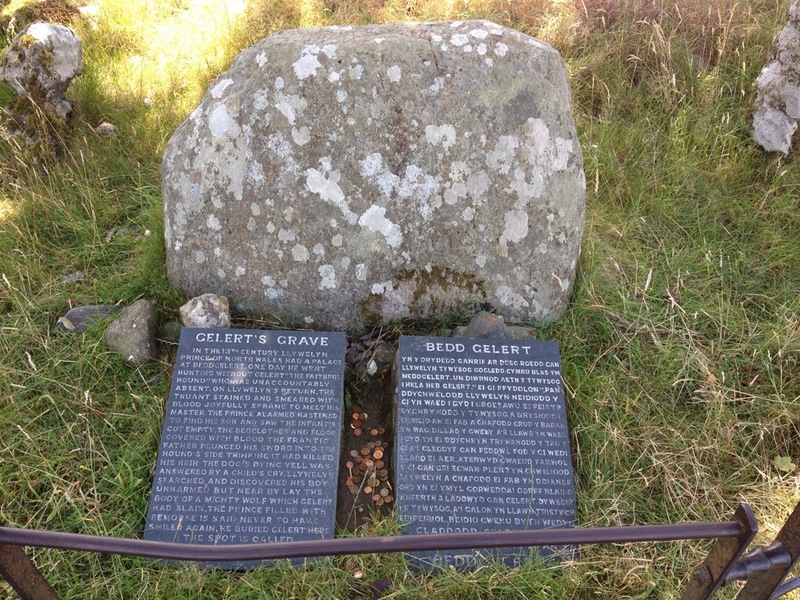 Gelerts grave remains to be seen today, the photo below shows his grave as well as a statue of Gelert. We had a couple of meals in Beddgelert which were decent and enjoyed the lovely feeling this village gave us. The streams were beautiful and the sunshine lit up all the flowers and bright colours around the streets. This is a place we will visit again and one little treat we didn’t expect to find. The final night at our campsite was chilled and we played a couple of games of Scrabble before settling down. The rain was heavy and kept us awake but by the time it settled it gave us time to get some sleep ahead of our journey home tomorrow. Before we got on our way home we decided to visit a place called Portmeirion to have a walk around the coastlines or that’s what we thought it would entail. Our adventurous streak got the better of us and once we walked around the streets with brightly coloured painted houses and pools filled with piercing blue water we found ourselves thrown into our own adventure. Portmeirion is spanned over 70 acres and whilst most of it is mapped, we decided the sign pointing to a Ghost Garden was too much of a temptation to resist. Off the map and past the Dog Cemetery we were trying to find, we found ourselves clambering through Rainforests filled with bright plants, loud wildlife and areas that not even the most local of residents had passed. We finally got stuck as we were presented with a steep sandy bank down around 30 feet of cliffs. We managed to clamber down safely and the walk led us down to the beach. Fortunately the sea was out and we could enjoy a lovely albeit lengthy walk back to the village centre. It was one adventure, one we didn’t expect to participate in, however it was bloody good fun. Portmeirion turns out to be quite a famous place with many tv programs filmed there. These include The Prisoner and Doctor Who. It certainly offers a lot and we did enjoy some lovely cake in their cafe. It is very quaint and a strange thing is that some of the buildings have windows painted on them, now that is weird! The drive back was pretty boring in comparison to the amazing long weekend we experienced. Snowdonia we will be back. Thank you! !